Facial redness is a daily issue for many of us, and although there are lots of products out there which can help, they don’t always address the underlying issue. 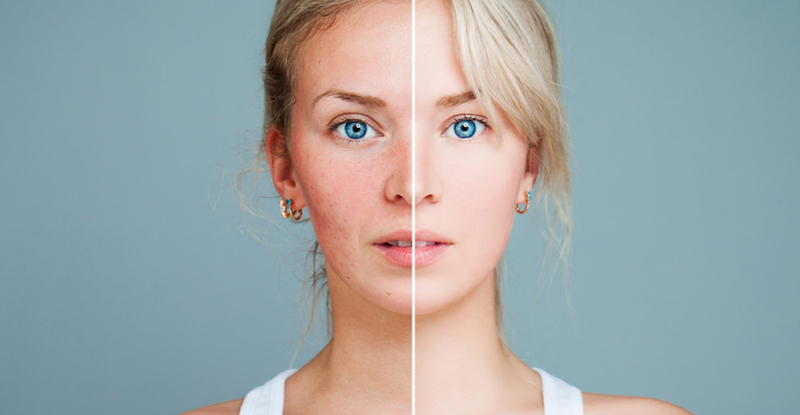 A lot of facial redness is misdiagnosed as rosacea, which means that many of us go through the rigmarole of trying many rosacea-specific products which don’t really help. Today, we’re looking at five underlying causes for redness, to help you figure out what might be causing yours. If your facial redness is also accompanied by a burning sensation, tightness or heat, it may well be an allergy which is causing the redness. This could be an allergy to anything, from what you eat, the products you use or your surrounding environment. Try to keep a diary of when it flares up to help you get an idea of what might be triggering it. If you’re a lifelong sun worshipper or simply never use a sun protectant on your face, this could be a cause for redness. Sun damage over time can cause permanent pigmentation issues and inflammation, so wearing a high SPF on your face, such as Decleor Protective Anti-Wrinkle Cream SPF30 Face, on a daily basis will help to avoid any further damage. Dry skin has many different causes, but the mechanism is always the same – the skin produces an insufficient amount of natural oils to keep itself hydrated. This can leave the skin dry and sensitised, leading to redness. The Jan Marini Skin Care Management System Dry/Very Dry Skin Starter Kit is a great place to start if dryness is your issue. Another cause of facial redness is broken veins, and again, there are a number of things which can contribute. If you have broken veins, it could be caused by anything from your DNA to pregnancy. Retinoid creams are used for many skin conditions, and may help reduce the visibility of the veins and boost the health of the skin.